How tall the chess pieces above. It sized 72 inch and made from best quality of Teak wood. We choose the best Teak wood that has dried as our main material. It because, Teak is the strongest wood in the world that durable for outdoor use. 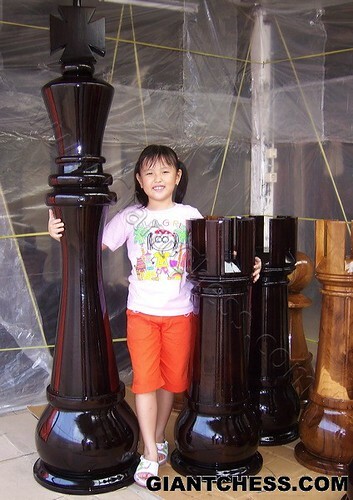 We consider about its durability for outdoor use, so you can use this kind of chess piece for garden decoration. Polished in black and brown color make this wooden chess pieces looks unique and interesting. It also add with glossy touch and make it so elegant. You can also get another color. If you want to decor your garden for outdoor party by using our giant chess pieces, we can support you with some color chess pieces. It also perfect for hotel decoration, camp area, and another outdoor decoration.